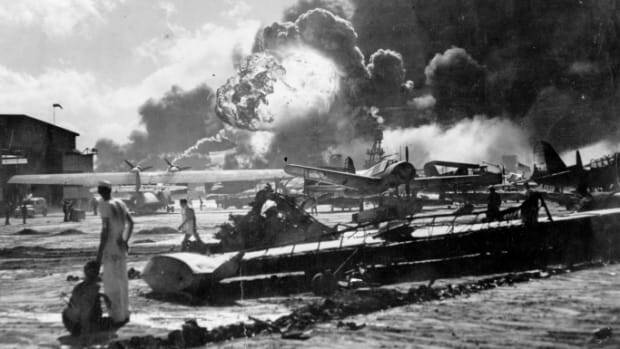 Explore little-known facts about the "date which will live in infamy." 1. Twenty-three sets of brothers died aboard USS Arizona. There were 37 confirmed pairs or trios of brothers assigned to USS Arizona on December 7, 1941. Of these 77 men, 62 were killed, and 23 sets of brothers died. Only one full set of brothers, Kenneth and Russell Warriner, survived the attack; Kenneth was away at flight school in San Diego on that day and Russell was badly wounded but recovered. Both members of the ship’s only father-and-son pair, Thomas Augusta Free and his son William Thomas Free, were killed in action. Though family members often served on the same ship before World War II, U.S. officials attempted to discourage the practice after Pearl Harbor. However, no official regulations were established, and by the end of the war hundreds of brothers had fought—and died¬—together. The five Sullivan brothers of Waterloo, Iowa, for instance, jointly enlisted after learning that a friend, Bill Ball, had died aboard USS Arizona; Their only condition upon enlistment was that they be assigned to the same ship. In November 1942, all five siblings were killed in action when their light cruiser, USS Juneau, was sunk during the Battle of Guadalcanal in the Solomon Islands. 2. USS Arizona’s entire band was lost in the attack. The night before the attack, NBU 22 had attended the latest round of the annual “Battle of Music” competition between military bands from U.S. ships based at Pearl Harbor. Contrary to some reports, NBU 22 did not perform, having already qualified for the finals set to be held on December 20, 1941. Following the assault, the unit was unanimously declared the winner of that year’s contest, and the award was permanently renamed the USS Arizona Band Trophy. 3. 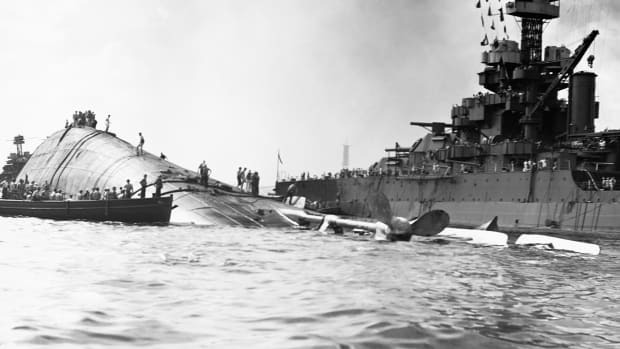 Fuel continues to leak from USS Arizona’s wreckage. On December 6, 1941, Arizona took on a full load of fuel—nearly 1.5 million gallons—in preparation for its scheduled trip to the mainland later that month. The next day, much of it fed the explosion and subsequent fires that destroyed the ship following its attack by Japanese bombers. However, despite the raging fire and ravages of time, some 500,000 gallons are still slowly seeping out of the ship’s submerged wreckage: Nearly 70 years after its demise, Arizona continues to spill up to 9 quarts of oil into the harbor each day. In the mid-1990s, environmental concerns led the National Park Service to commission a series of site studies to determine the long-term effects of the oil leakage. 4. Some former crewmembers have chosen USS Arizona as their final resting place. 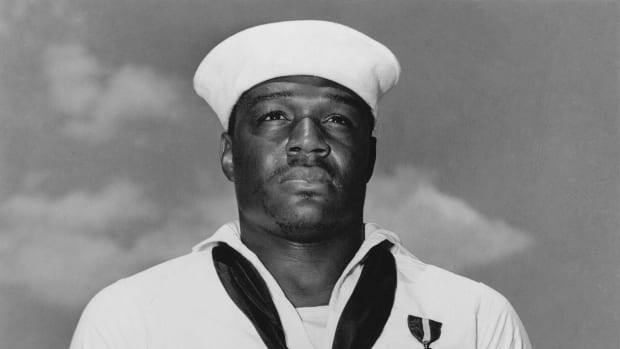 The bonds between the crewmembers of Arizona have lasted far beyond the ship’s loss on December 7, 1941. 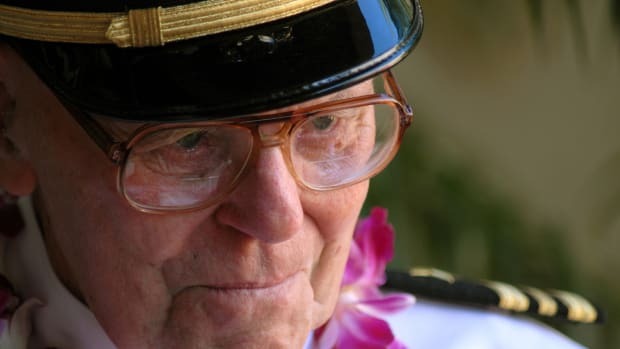 Since 1982, the U.S. Navy has allowed survivors of USS Arizona to be interred in the ship’s wreckage upon their deaths. Following a full military funeral at the Arizona memorial, the cremated remains are placed in an urn and then deposited by divers beneath one of the Arizona’s gun turrets. To date, more than 30 Arizona crewmen who survived Pearl Harbor have chosen the ship as their final resting place. 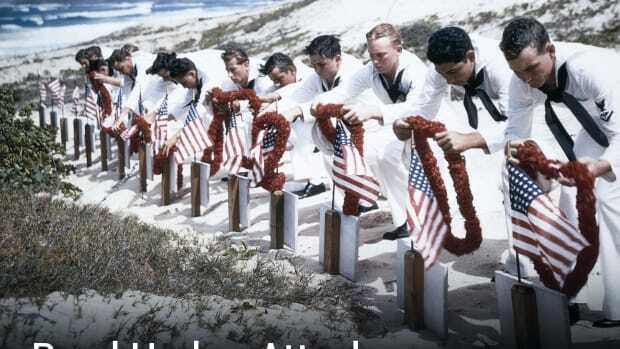 Crewmembers who served on the ship prior to the attack may have their ashes scattered above the wreck site, and those who served on other vessels stationed at Pearl Harbor on December 7, 1941, may have their ashes scattered above their former ships. As of November 2011, only 18 of the 355 crewmen who survived the bombing of USS Arizona are known to be alive. 5. A memorial was built at the USS Arizona site, thanks in part to Elvis Presley. 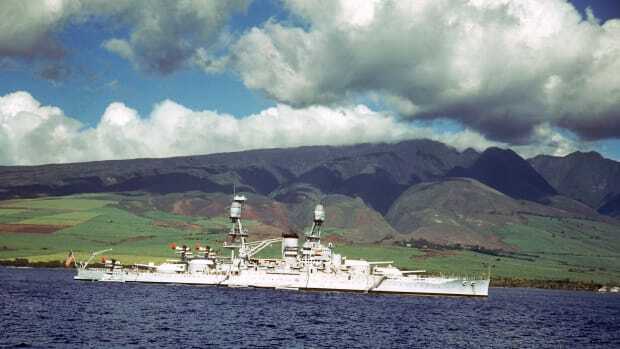 After Arizona sank, its superstructure and main armament were salvaged and reused to support the war effort, leaving its hull, two gun turrets and the remains of more than 1,000 crewmen submerged in less than 40 feet of water. In 1949 the Pacific War Memorial Commission was established to create a permanent tribute to those who had lost their lives in the attack on Pearl Harbor, but it wasn’t until 1958 that President Dwight D. Eisenhower signed legislation to create a national memorial. The funds to build it came from both the public sector and private donors, including one unlikely source. In March 1961, entertainer Elvis Presley, who had recently finished a two-year stint in the U.S. Army, performed a benefit concert at Pearl Harbor’s Block Arena that raised over $50,000—more than 10 percent of the USS Arizona Memorial’s final cost. The monument was officially dedicated on May 30, 1962, and attracts more than 1 million visitors each year.